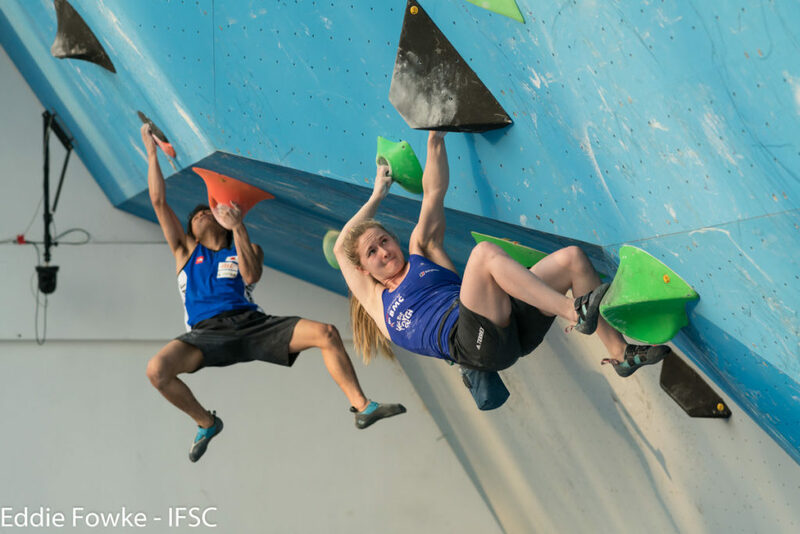 Welcome to The LabLog No:4 where we are talking World Cup Climbing, Imminent resets and an awesome Charity effort from one of our members. Can you explain what it is you are doing Jay? 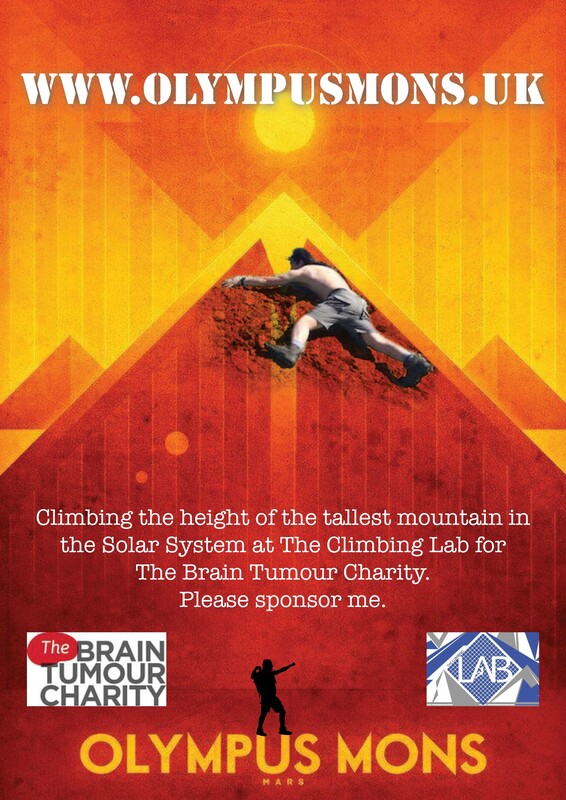 I am climbing the cumulative height of Olympus Mons on Mars (22,000m), which is the highest peak in the solar system, to raise money for The Brain Tumor Charity. Why have you chosen this as a way to raise money, and why The Brain Tumour Charity? For several reasons really. By supporting The Brain Tumour Charity I am raising money for physical cancer research which is a cause I have chosen for the many afflicted friends, family and work colleagues who have been touched by cancer, especially those who have seen their loved ones facing primary or metastatic brain tumours. A condition which usually fills everyone with the darkest of dread. Having struggled with mental health myself, I have found bouldering to be extremely helpful in overcoming my own personal battles. The connection between the two is something I have only fully realised the importance of since starting on this journey. 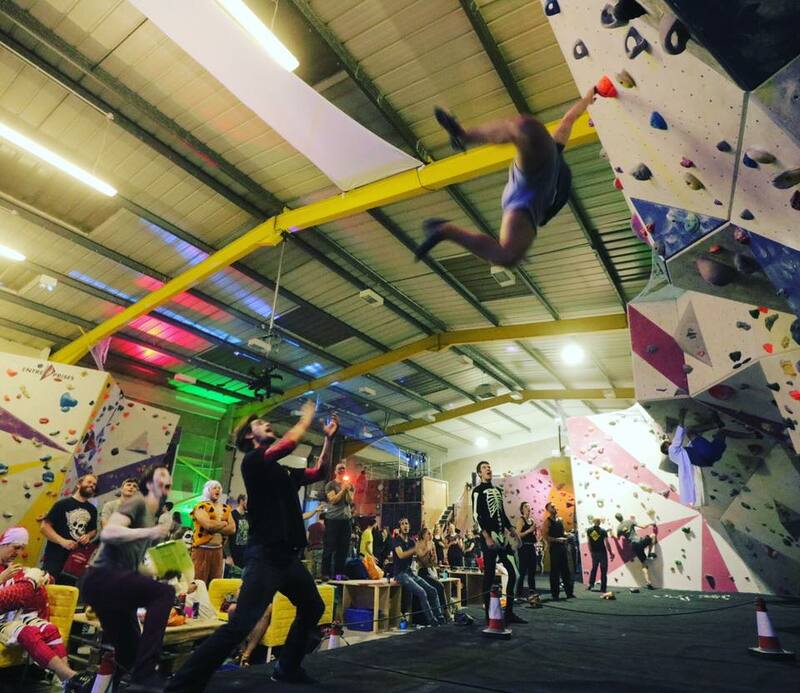 Hopefully I can help to raise awareness of mental illness and how bouldering can help to tackle it whilst supporting The Brain Tumor Charity as well. Having started last September, tell us how you are getting on. So, your wall is 4.5m high. I worked out that it would take me over 5500 ascents of a single route to complete the height of Olympus Mons. 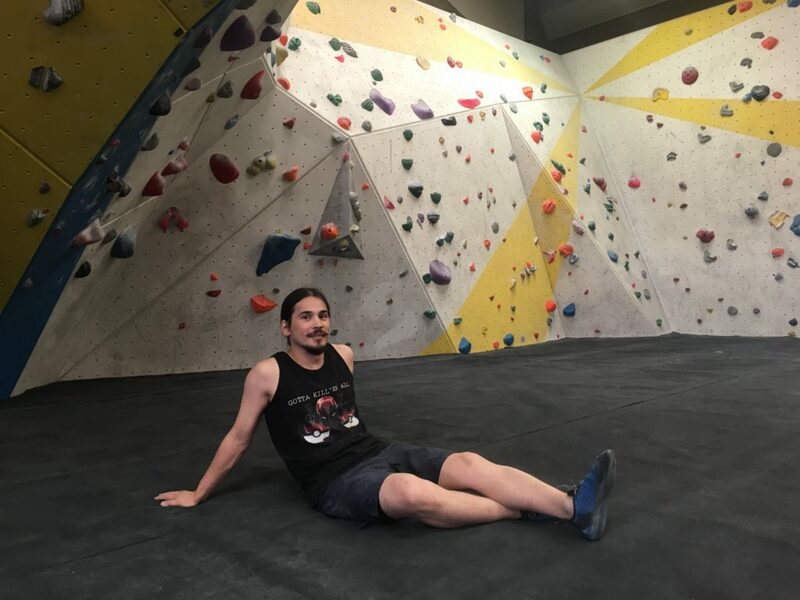 At first I was managing around 30 climbs a session, but now I am managing up to 200 per session. I have almost reached my target (as we speak he passes the 4900 mark) and plan to complete it in the next few weeks. I also took part in the Manchester marathon recently to raise money for The Brain Tumour Charity. As well as raising awareness, how much money are you hoping to raise? I am currently a little below £500, and would love to reach £1000. Jay is also currently training for an Ironman in September to raise money for the charity Mind. He has been the subject of a film by Harry Lock at the Northern Film School that we are looking forward to seeing. Keep an eye out for Jay in the next couple of weeks and feel free to approach him and have a chat about what he is doing (and possibly excuse him for hogging a couple of routes!). It would be really great to offer him some support in reaching his target from the climbing community for this amazing feat. Check out the links below for his Just Giving pages along with the charity websites. Lets all break down the stigma and care better for our mental health. Back home in Leeds, England we have the very tangible excitement of NEW ROUTES!!! A fresh collaboration from our two awesome local route setters – Joey Watts and Joe Swales bring you Purple V7+ and Pink V3 – 5 routes aplenty to rock your world and keep your minds and bodies ticking over for the coming month. WARNING This is the last week to complete any stragglers / projects you’ve been working on for Round 1 of The Lab Test. The current round is coming down on Friday morning (28th). Next week will see a brand new set of Red problems pinned for Round 2 of the Summer League starting Tuesday 2nd May, so get down and get them done. Ask at the desk for a Lab Test score sheet and make sure to hand in your sheets when you’re done so we can count up. Remember – points win prizes and if you’re not sure of being a top scorer? No problems, each Lab Test entry counts as a raffle ticket for our Grand Final Lab Test when you have the chance to get your hands on a tonne of randomly drawn raffle prizes!